Writer and public commentator Elizabeth Catte will examine current portrayals of Appalachia, one of the country’s most controversial regions, in a public lecture on the UT campus. Author of the book What You Are Getting Wrong About Appalachia (2018) and co-editor of 55 Strong: Inside the West Virginia Teachers’ Strike (July, 2018), Catte will discuss the genealogy of “Appalachian interpreters” and how region's realities complicate many of our most enduring stereotypes. 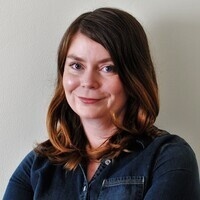 A historian with a Ph.D. in public history and a writer based in the Shenandoah Valley in Virginia, Elizabeth Catte has written for The Guardian, The Nation, Boston Review, Salon, and LitHub, and she is a regular contributor to Belt Magazine. She is the co-director of Passel, an applied history consulting company, and an editor-at-large for West Virginia University Press. This event is free and open to the public. There will be a book signing following the lecture.